Requirements: The project was divided into several phases with gradual improvement and adding functionality. 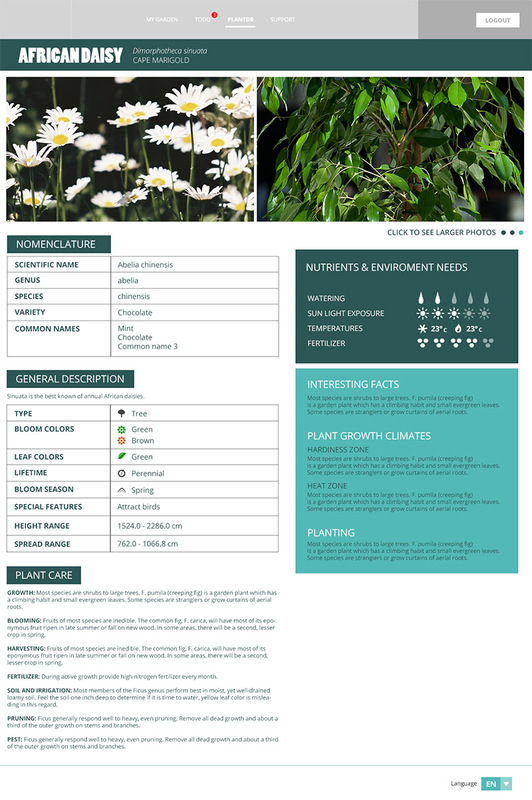 The main initial requirement was to develop a client website for calling the exiting API, retrieving information about flower stats, health, tips and additional information. The website should have convenient user interface and work properly in all the web browsers. The website should have good performance when loading big amount of data for rendering history graphs, retrieving search results, displaying plants on a map. 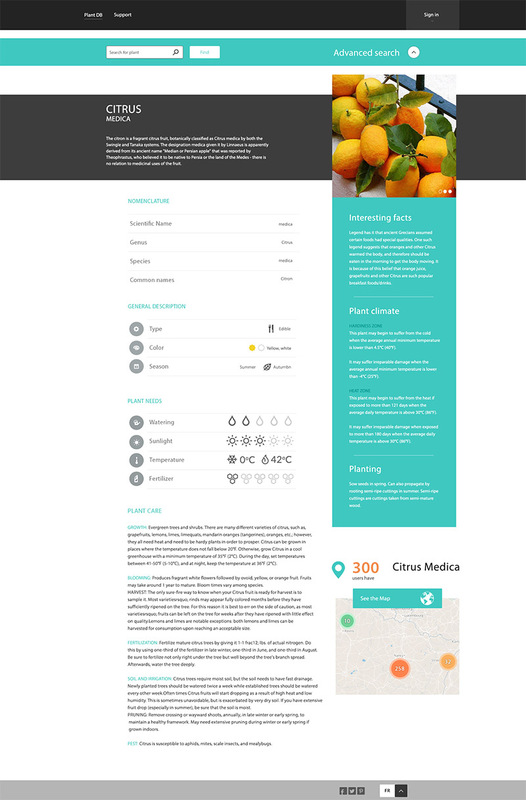 During the later phases the website should be improved with support of mobile and table devices (responsive design approach), new design template, localization and SEO background. Challenge: Since the development team had to develop an Ajax based website using external API calls Elinext developers had to deal with same-origin policy issues. Also the website was planned to be hosted on Heroku cloud application platform what also requires several limitations. 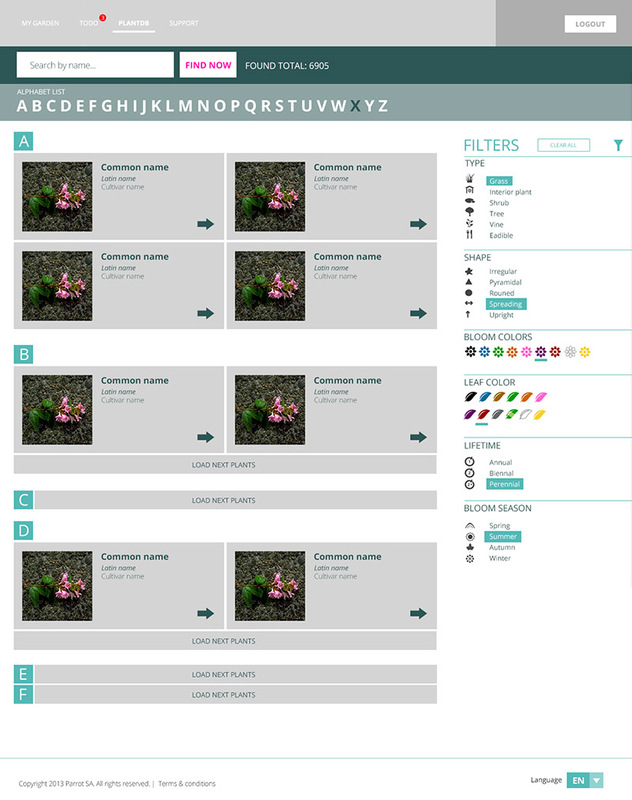 During the localization task all the design elements should be displayed properly despite of font tables, glyphs, etc. The mobile layout should work well on various devices with different versions of operating systems. During the optimization phase the website should be configurable for working with Google Analytics tracking on Ajax pages. Results: The website optimized for different screen resolutions was released on time with stable and good performance. Together with the customer’s engineers Elinext developers thought out and integrated a number of UI enhancements, much work has been done for optimizing UI elements on Windows Phone devices since mobile version of Internet Explorer has some limitations and internal issues. Google Analytics API was used for proper tracking of Ajax generated content.